This week's Famitsu includes a meaty Rockman 11 preview. While there's no new details to be found, this issue brings us a nice batch of clean concept art. We've got a really good look at Dr. Wily (who's looking fly with that black shirt/red tie combo), Rush, Sniper Joe and more. I would like to point out a new enemy that shows up in one of the conceptual screenshots illustrated by Yuji Ishihara. It looks like a new Mettaur variant with a pointy nose. It might be a drill? It's a little too early to say if these guys will show up in the final game, though. Other than that, Famitsu's coverage includes a couple new screenshots too, though most of them already showed up in the latest Game Informer. What is up with that pump man screenshot? They redrew some MM5 and MM10 screenshots in the new art style to test if it works or not. There is also a similar screenshot of Stone Man's level in the new style. 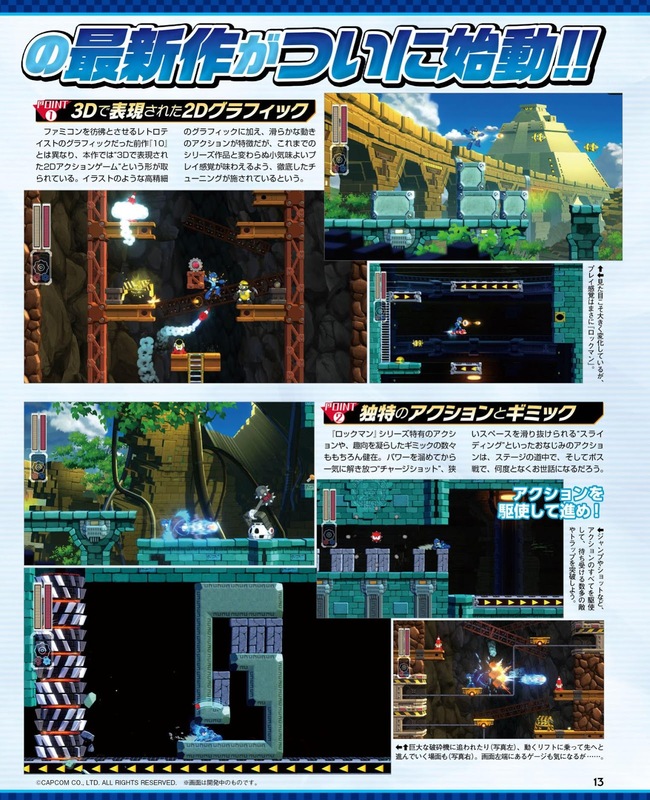 So they're basically just concept art, nothing more, those levels won't be in MM11. > those levels won't be in MM11. That's just what they want you to think. Can you say... "Neo-Retro DLC Levels?" I hate famitsu worst video game publication I know but more MM11 art is always nice. The redesigned versions of Roll and Sniper Joe look real nice. Rush looks cute too but that goes without saying lol. Looks like the days of the Rockman Merchandise Corner are over. I love the new Dr. Wily outfit. It's somewhere between his classic and 8 designs, but heavily leaning on the side of "some kind of scientist." Also, lower-left corner, page two. "Disappearing" level gimmick, anyone? I can dig it (ha ha hah). One of the screens on the first page seems to show MM sliding across a gap without falling through. Maybe sliding always goes in a straight line now regardless of terrain? that was a thing in the old games too. I think the Smash Bros redesign was better, but whatever, he basically looks the same as always. While I agree, I think basing the design of the Mega Man they are (presumably) going forward with off of official art was still a good idea. It leaves them room to adjust the design a bit depending on the kind of game they are making because there's been a good amount of art for the Classic design, where as the Smash design is perfect for Smash, but might be a little more limiting going forward. The Smash Bros. design was an almost exact interpretation of the first art style with nods to the second style. The Mega Man 11 style is a bit closer to Mega Man 8, in that it's slightly less "cartoon-y" and the body proportions are a bit less squished. So, basically, they're just continuing from where 8/& Forte left off, but still keeping things fairly close to the originals. That's how I see it, anyway. "Smash design is perfect for Smash"
I don't know about that, I'd rather Mega Man not be A. So heavily inspired by his NES gameplay B. Not be a scrunched up midget. I think both those things work better in Mega Man more than Smash. I'd rather Mega Man reflect his out of NES mode self when in modern crossover stuff, Mario can't be anything radically different than the way he basically looks in Mario 64's cover art or Paper Mario when looking at how he is intended to look with without game restrictions, same for Sonic, Pacman and such, but Mega Man was basically always portrayed as taller and more proportionally balanced compared to his in-game stuff in official and official concept art, most of the time he looks distorted in-game is because of technical limitations whether it be game design or graphical. 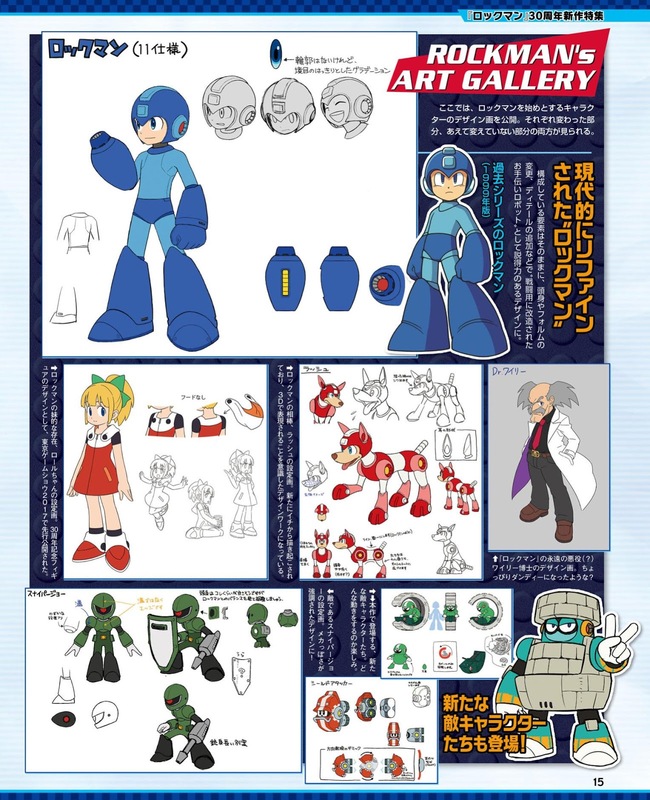 Mega Man in Marvel vs Capcom and its sequel while not perfect is how Mega Man is basically suppose to look in relation to concept art, because Capcom didn't have to worry so much about technical limitations. Mega Man 8 is another good example, but that was criticized because of perceived unwanted side effects in the technical aspect. Concept art its so good, such a shame the real game will never make it justice. The game looks good anyway. I think it's a good modern look for Mega Man, but my favorite concept art or anime look for Mega Man is Mega Man 8. I hope that all in this game will be great, the concept art is great and refresh, I do not understand why there is people saying that it will not be a good game, not 8bit, not bad box design (thanks God), not megaman from man of action, it is anime style and for me, this is the best. 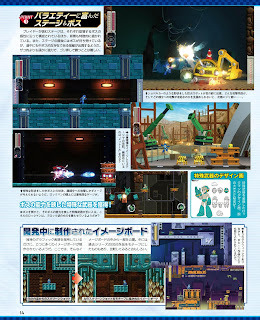 Please capcom do not failed to us the megaman fans please, and please megaman fans if this is good support megaman. I'm looking forward for the addition of MM11 to the Mega Man official Complete works! Even if the game does/doesn't end up looking terrible or being janky, at least the we'll have some new official art! I'm hoping that they add co-op to this one. Hopefully with Proto Man. Roll would be nice too, but I'd like them to keep Bass out. Maybe use Bass as an enemy only in this game. 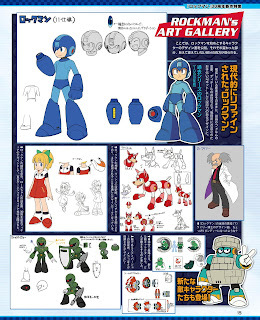 The art looks great and I like that Mega Man is now taking on characteristics of the Robot Masters too. Hopefully that upgrade will be explained in the story. Only 1 game hasn't had Wily the main villain which was Mega Man V for the Game Boy. I would love for this game to show an apparent end of Wily (of course not permanently) so we can be introduced to a new villain. Back when Mega Man 4 came out I was so excited that Wily was gone and we got Dr. Cossack. Sadly, Wily was still pulling the strings. I want a more in depth story. Nothing silly and childish like "Robotenza?" That was ridiculous. Something on the lines of when Mega Man threatened to kill Wily at the end of Mega Man 7, but of course much more than just one small scene like that. I think if Mega Man is going to survive, that is something that is going to have to change. You can still have a game that is light at heart, but can give you a dramatic plot and dialog to build the intensity. Why would you like LESS playable characters? There's no reason to NOT have bass playable! they can have him as an enemy too, and still make him playable, and just allow it to break the story completely, because more modes of play rock man! it'd be nice if they added duo too really, and even the robot masters from MMPU, with the essentially same abilities.